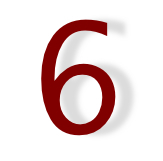 Intriguing six!! What happens next? Oh! This is intriguing. Makes me want to know more about the situation. excellent in a few words. What a way to leave me hanging! great six! Oh, I suspect there’s a MUCH higher price to be paid. Wonderful tension, as always, Kim! I still love this six. Very intriguing and it makes me want to read so much more!! You had me hooked when you said it went into a dark place but you weren’t sharing. Cause now I wanna know! lol Great six! Okay I want the next set of scenes! Great Six! I love the promise evident here. Nice SS!! Ok, I want to know what happens next! Great six! Good build in tension. Great SSS. Ohh I want to read more…. So little? But a kiss can be so much! Great six! Very nice! I want to know what happens next! Oh, that’s a little bit wicked. I love it. A very teasing snippet! You need to give us more. Keep going! I want more! She left him wanting more, and you left me wanting more. Great six! Oooh, don’t stop there! More please. Definitely made me want to know more.